How will the health care decision affect women? In a 5-4 ruling today, the U.S. Supreme Court upheld the Affordable Care Act’s individual mandate as a constitutional exercise of Congressional taxing power. Our lawyers have provided an in-depth analysis on how this decision will impact our clients and the future of the U.S. healthcare system. More of the population will be covered: According to a ForbesWoman blog post, there are currently 19 million uninsured women in the United States. When the ACA takes full effect in 2014, 10.3 million of those women will be covered by Medicaid due to their low-income status. Elimination of gender rating: Insurers will be barred from charging women more than men for the same health care coverage – a practice that currently costs women about $1 billion per year. No preventative care co-pays: Under the ACA, most gender-specific preventative care will no longer require a co-pay. According to Lois Uttley, co-founder of Raising Women's Voices, this includes “contraception, breastfeeding supports (including rental of breast pumps), annual well-woman exams, and screening for gestational diabetes, domestic violence, and sexual transmitted diseases." Change in defining preexisting conditions: Insurance companies may no longer treat pregnancy, previous C-sections, breast cancer, or sexual assault or abuse as preexisting conditions that preclude coverage for treatment related to these issues. Gains for mothers: According to the March of Dimes, only 13 percent of insurance plans currently cover maternity care, which will be a required coverage area under the ACA. Working mothers at companies with more than 50 employees will be provided a provide place to pump breast milk during required breaks. On Tuesday afternoon, three of Hogan Lovells’ Appellate practice partners will provide an analysis of some of the key decisions that will impact businesses as the Supreme Court concludes its current term. FCC v. Fox: Will the Federal Communications Commission’s indecency standards for television be deemed in violation of the First Amendment? Arizona v. United States: Will Arizona’s controversial anti-immigration provisions be allowed to stand? 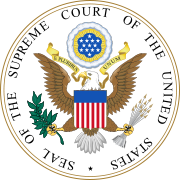 Kiobel v. Royal Dutch Shell: Can corporations be held liable in the United States for human rights violations under the Alien Tort Statute? Knox v. Service Employees International Union, Local 1000: Are public sector unions required to provide sufficient notice to all employees about fee increases for political advocacy expenditures? Do non-union members have the right to decline to pay these fees? Affordable Care Act: How will the three key cases challenging aspects of President Obama’s healthcare plan be resolved? The program, which begins at 1 p.m. EDT on June 26, will also provide essential background on the Supreme Court, including the composition, recent personnel changes, and background on the Justices, and explain the impact of these structures on the decisions. Register online for the free webcast. It all started with a call from a law school friend asking if I would be interested in attending a Kids Club event. I inquired into the program and learned that Kids Club is a program of the Dade County Bar Association’s Young Lawyers Section (DCBA YLS) that organizes activities one Saturday a month for children in state care. Little did I know that this commitment of a few hours a month would become a key component in my professional development. I fell in love with the program and became a committee member and, later, committee chair. I eventually became a board member of the DCBA and of its YLS, working my way up to President of the YLS. My commitment to giving back has since expanded to include our local Legal Services Program, the Alumni Council of my alma mater, Tufts University, and the Local Community Board of the American Diabetes Association. Serving on various boards has expanded and strengthened my professional networks and provided me access to individuals and experience I may not have had. In my experience, the boards are positive, encouraging environments outside the office that allow me to learn and grow as I develop, plan, and implement new programs and solve challenges facing the organization. Born into a land of prosperity with a strong social safety net, most of us Americans have no idea that half the world lives with no running water, poor or no education, no healthcare, and sometimes no food. Having spent several months in the village of Otuam in Ghana – one of Africa’s most prosperous nations – I can only imagine how impoverished the others are. Since I returned home to my comfortable life in McLean, Va., I haven’t been able to look at anything the same. When I turn on the shower, when I open the refrigerator packed with food, when I start my car, when I look at the phone and know I can dial up an ambulance within minutes, even when I flush the toilet, I am thankful for these blessings and horrified that billions of people don’t have them. It came as a shocking revelation to me that so many people suffer and die needlessly in a world of abundance, while we thoughtlessly waste money on things we don’t really need. What can one person (who is not named Bill Gates) do to help those who didn’t win the birth lottery? My first step was to donate an electric fresh water well, filtered against ground-borne contaminants, on Main Street, so the children of Otuam did not have to walk so far for water before school. But I do not have the funds to help the village in all the many ways it needs help. And while others have come forward to dig new wells, the lack of an ambulance truly disturbed me. My young Otuam interpreter’s sister died in the back of a taxi on the way to the hospital to give birth. She was 24 and left behind two children. Fortunately, as a writer, I can get the word out, and my book King Peggy: An American Secretary, Her Royal Destiny, and How She Changed an African Village is doing that.